Little Miss A was in Sonora for a visit, so she stopped by for her six month baby photos. The last time I saw this beautiful baby girl was when I took her newborn photos. She has grown into a bubbly, happy baby who readily gives those sweet, gummy baby smiles. She had had a big doctor visit the day before, so she was not feeling one hundred percent, but with some cuddle breaks and a bit of a snack in between, she was able to keep those smiles coming. And she does love her Mama! I know Mom was not planning on jumping in the photos, but we had to snap some of the two of them together. And those will be great memories for little Miss A one day! Ashley Short Photography - I wish I could travel to this Sonora baby photographer! For a mom that wasn’t planning to be photographed, the mommy and baby portraits are my favorite from the whole baby session! So sweet! Emily Smith - This has got to be one of my favorite ages to photograph babies/children. The smiles you have captured are to die for! Diane - Beautiful 6 month baby session! This sweet little girl did a great job, especially for not feeling so well! You did a great job of keeping her attention too! Saren Cassotto Photography - Beautiful baby girl! Photo sessions after shots days are tough but she looks like you took great care of her! Beautiful photos to be cherished for a lifetime! Sonora CA is lucky to have such a great baby photographer! A Dimple in Time Photography - Oh my goodness, what a sweet baby! I LOVE the mommy and me snuggly photos at the end of your session. Six month milestone sessions are some of my favorites, you have captured such a range of beautiful expressions on this little one. 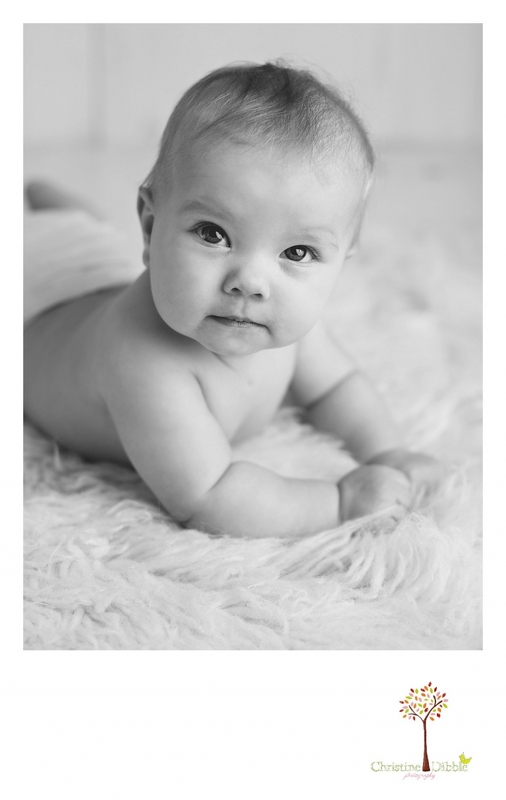 Wonderful baby photos by Christine Dibble in Sonora, CA! Amy - Adorable! Such a cute baby!! !